Zabou is an experienced and long-standing manufacturer and supplier of menswear and accessories. We have a global supply chain of sourcing, manufacturing, and warehousing, with logistics, transportation and distribution channels which enable us to serve our international markets comprehensively and efficiently. Over the past 30 years Zabou has served mainstream and elite brands including Next, joseph, 883police, Ted Baker, ben sherman, Paul Smith, Evisu, Nigel Cabourn, jasper conran, arcadia, officers club, ciro citterio , reiss, george. Zabou supplies both UK and European retailers and is in the process establishing its own global retail footprint with our in house brand 883 Police. we have concept stores opening in prestige malls in India and the Emirates, with many more planned as location opportunities arise.  zabou has over 35 years of manufacturing and brand development. we can design and provide some of the best printing techniques. with our experience we can source and develop unique fabrics from our recommended mills. From classic to trend we can desgn and source your products. Our team works around the clock! Please see below for more information on projects undertaken by the zabou group recently.